Effective leadership hinges on understanding, communication, and collaborative decision-making. Nothing is more important to your success. Unfortunately, it’s challenging to maintain a team atmosphere within a group of intelligent, hard-driving senior managers. Often, communication issues and conflicts grow on an interpersonal level, through pure and simple misunderstanding. If your executive team can’t afford to put your business on hold while you sort-through these issues, this half-day workshop is a savvy strategic investment. Define the inherent strengths and challenges of your team in working together and with your employees. TSOD’s Executive Retreat programs feature proven curriculum components from our popular Team Building Workshops. The executive program goes a step further: You’ll benefit from the organizational development insights and senior management perspective of our senior facilitator. You’ll gain uncommon perspectives on the challenges frequently facing senior management teams in today’s demanding business environment. And your team will graduate the program with the resolve and vision to overcome interpersonal obstacles to success. Applied Team Building reinforces the core workshop in the workplace (half day). Team Communication assesses current communication challenges, arriving at treaties for more effective communication (half day). Conflict Management assesses the conflict modes in use within your team, and explores ways of resolving conflicts more appropriately (half day). 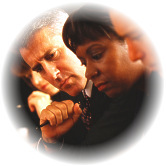 Executive Retreat Team Building Workshops are available at your selected location, nationwide. The recommended minimum group size is six persons, and recommended maximum is forty. Larger groups are best accommodated through multiple sessions. We recommend that this program be integrated into an offsite retreat to minimize distractions. Click here for pricing and scheduling.